Courtesy of the Texas Publishers Association and Online Directory of Texas. 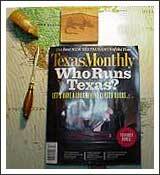 © Copyright 2003-2013 Online Directory of Texas, Inc. and its licensors. All rights reserved.